Powtoon is a powerful presentation and video software.It is a cloud-based so no special installation is necessary as it can be accessed online at anytime and from anywhere.Incredible animated videos and presentations can be created to captivate and engage audiences more.This highly creative authoring software enables people with negligible design and technical know-how also craft impressive presentations.The software comes with ready made drag-n-drop templates to further ease your task. 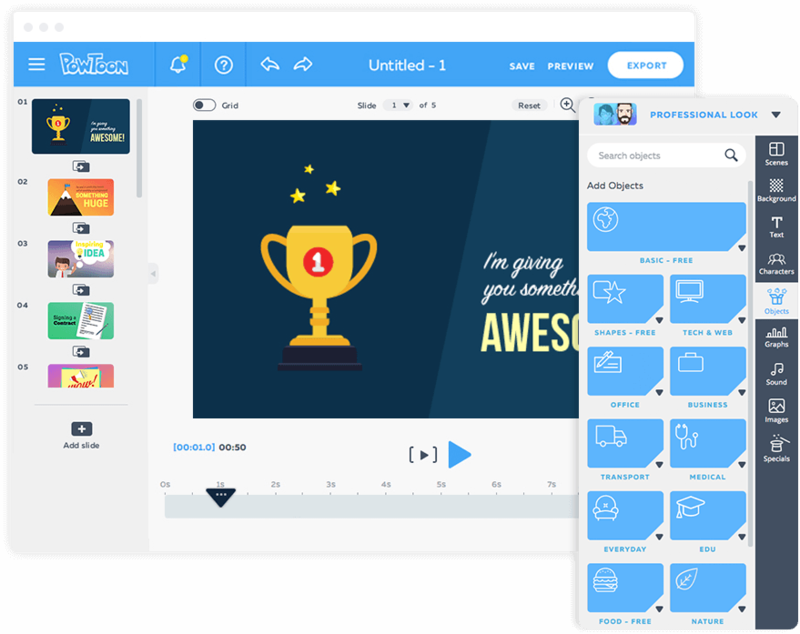 Powtoon presentation platform offers offline presenting, audio, content library, zoom, animation etc. The software comes with video editing and video management functionalities as well. How much does Powtoon cost ? The pricing for Powtoon starts at $2.99 per month. Powtoon has 9 different plans such as - Student (Educational Plans) at $2.99 per month, Classroom Basic (Educational Plans) at $8.0 per month and 25 Bundle (Pay per Export) at $8.0. Classroom Elite (Educational Plans) at $16.0 per month and 10 Bundle (Pay per Export) at $16.0. Pro (Subscription Plan) at $19.0 per month, 5 Bundle (Pay per Export) at $27.0, Pro Plus (Subscription Plan) at $59.0 per month and Agency (Subscription Plan) at $99.0 per month. Powtoon offers a Free Plan with limited features. They also offer an Enterprise Plan for their product. Best for designers, animators and agencies. Disclaimer: The pricing details were last updated on 22/06/2018 from the vendor website and may be different from actual. Please confirm with the vendor website before purchasing. 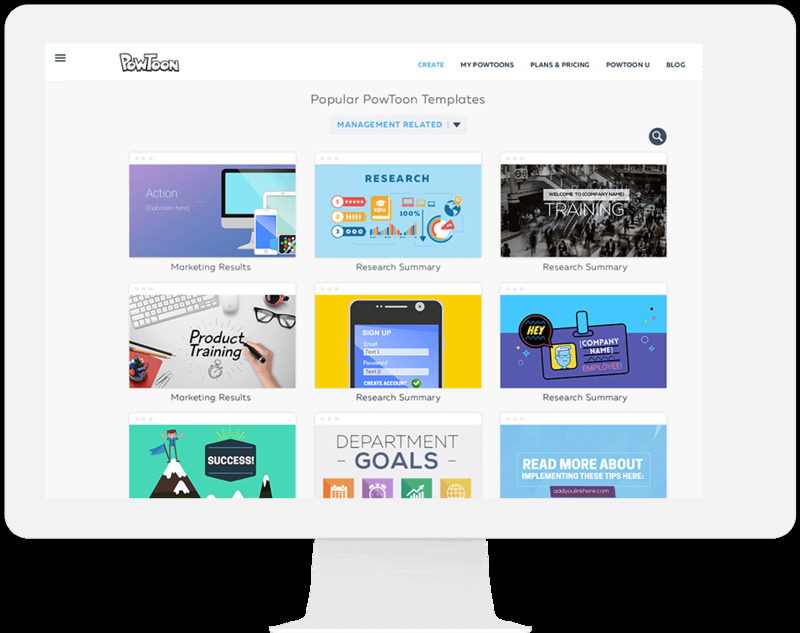 "Made 600+ Powtoons and loving it more and more"
The simplicity of the tool and the way the options are growing every single day. From the day, I started using the tool to till date, Powtoon is growing in terms of characters, props, and backgrounds. If you are looking for a simple and affordable tool for making animated videos, Powtoon is your only option. I am using it for my agency - CrispTalks. We are delivering awesome videos to businesses and educators using Powtoon. "How powtoon help us on video requirements"
I like the light feel of each element in the videos: musical scoring, animations, props. It's easy to use, very intuitive. Graphics are nice and clean. Just had more characters, scenes and situations. I can easily explain a concept to the board. Powtoon has become an outstanding tool we utilize to communicate with our clients. After encountered a technical issue we contacted the Powtoon team. They were very responsive and helpful and the issue was resolved quickly and easily. Only thing we would love to see is the ability to have additional control for voiceover and music. Would love to be able to have music fade out and the voice over start on a slide. Very good tool. Easy to use andflexible. We utilize Powtoon to communicate with our clients in a unique format. The response we have received from our clients has been outstanding. Pros: If you want to make a short animation this software may be the right one. The templates are divided into categories which makes the choice easier. 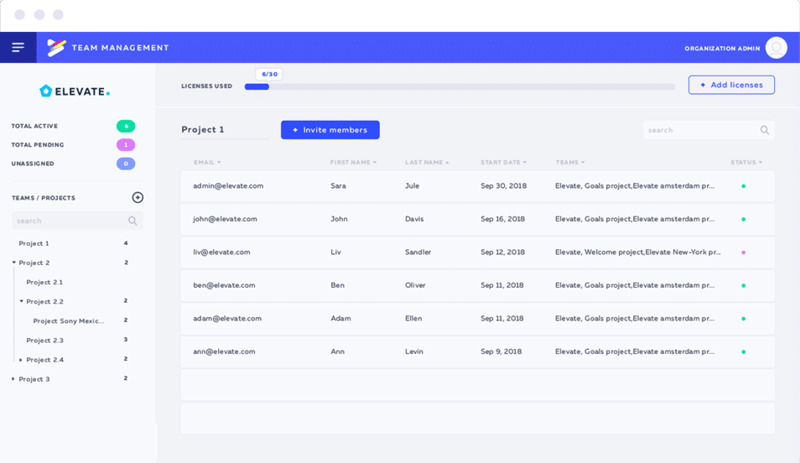 One can add a music to the animation from the offered lists which are also divided into categories or add a music from the PC or from Dropbox or Google Drive. The result can be downloaded in PDF or PPT (Powerpoint) formats for free. Cons: ..but the greatest con of this software is that one can't download the file, for creating which probably a lot of time was spent, in mp4 format, which is only available in paid mode, and a watermark will be seen in files created in free mode. 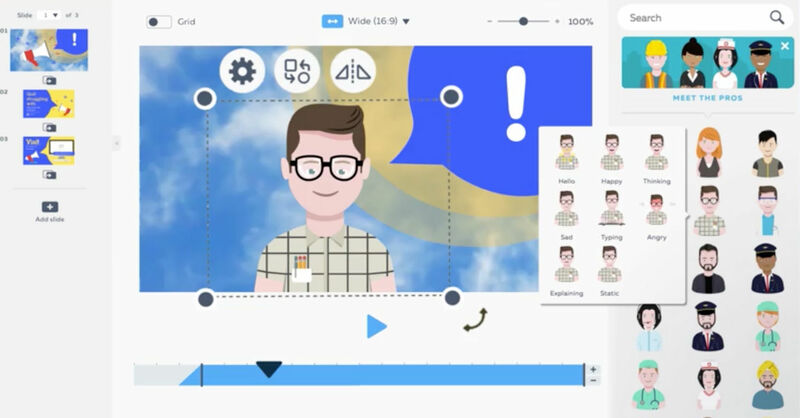 Pros: Aside from the obvious reason that PowToon is FREE, I also like that you can create a professional-looking video without all of the headache of learning an in-depth software program. 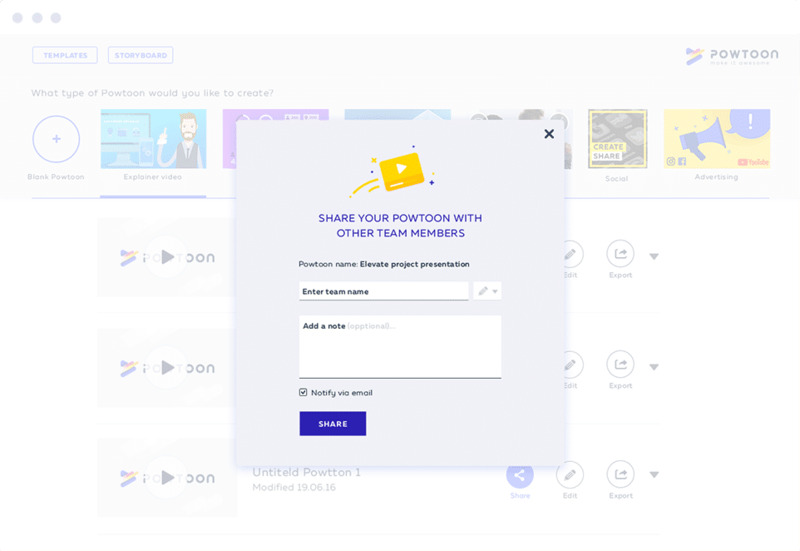 PowToon has several templates to choose from and you can just edit your information/content into the project easily. Cons: It's a little annoying that you cannot sort through the templates (free vs. paid) and can only see ALL. You think you like a template and it turns out to be a paid upgrade. If you use PowToon enough, you will start to notice other videos/users that use PowToon and that kind of dilutes the quality. You start to see the same recycled template over and over. Pros: Enjoyed using the software - was able to make a professional and appealing video with it. Cons: Wish I was able to remove the watermark without paying for a premium my membership. "An excellent platform for your marketing needs." Can be as easy to use as grabbing and modifying templates to giving you full control over your creative ideas. Powtoon is always evolving and offers various styles of video making it a very full animation platform. I have become so involved that I am now one of their ambassadors. The platform is occasionally slow necessitating to clear the cache or restart chrome. It also has occasional glitches in exporting or sometimes there are a few minor things that don't work the way you want. But customer service is always available and is incomparable.. Try out the free version. Look at what others have done and watch some tutorials. There is a learning curve as there is a lot available with Powtoon. Aside from creating videos for my own business, Powtoon has given me the opportunity to start a new business offering videos to customers worldwide. I can't thank them enough.